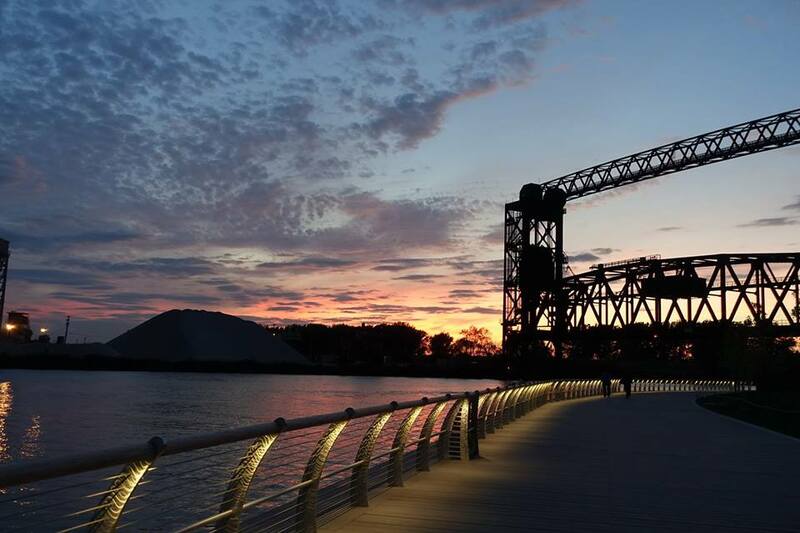 The Flats East Bank project is a 20-acre, mixed-use development in Cleveland, Ohio. Behnke has been involved in the site planning, design, and construction of this project since 2008. The Flats East Bank is registered to become a LEED-ND (Neighborhood Development); it incorporates sustainable site design practices such as green roofs, permeable pavements, and bioretention. 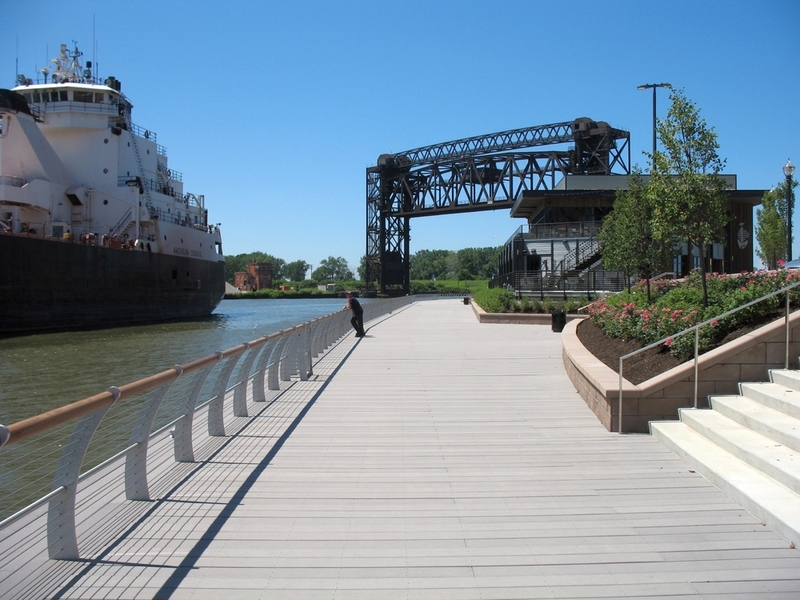 A unique aspect of the site plan is establishment of a 1,200’ multi-purpose Riverwalk along the east bank of the Cuyahoga River. Scope of work includes schematic design of the entire site, including the central 400-unit apartment building's green roof, and design and construction documents for all public realm, streetscape, and the Riverwalk.